The introduction of the refrigerator has stood out to be a boon for the industries as well as residences. For major businesses and industries, it is considered an investment. Based on the utility and functionality, the refrigerators are purchased. 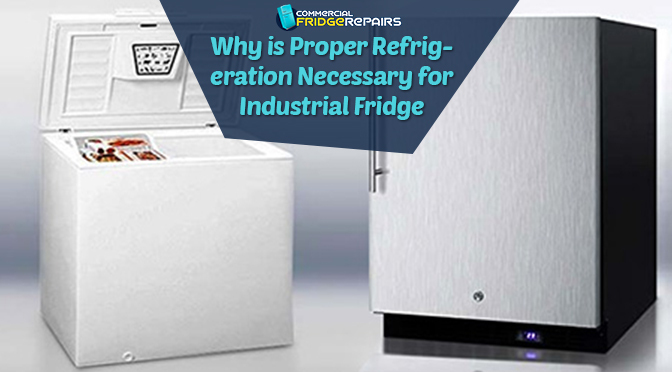 Ensuring that the unit functions throughout the year and there is no spoilage of the items placed inside; it is mandatory to have the fridge inspected and repaired by the well-trained professionals. The refrigerators have been a necessity these days. For the famous eateries and other industries, it preserves the food and the chemicals to be used later. According to the experts from the Commercial Fridge Repairs in Parramatta, improper installation coupled with irregular maintenance can lead to the failure of the system. The main function of the fridge is to extract the heat from the present items and preserve it. The entire process is conducted under the refrigeration cycle. The experts thoroughly check and make sure that the fridge has a sound refrigeration cycle where the cooling is optimum. In case of any abnormalities, the reasons behind them are sorted out and rectified. 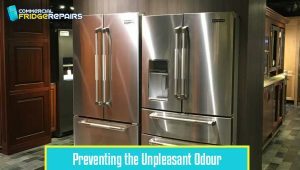 There are several reasons for the presence of odour in the inner chamber of the fridge. At times, the frequent use can lead to the formation of unpleasant odour. Also, there are cases when the fridge has not been cleaned thoroughly after the accidental spillage of food. In fact, the odour is considered as one of the biggest problems and can lead to the contamination of the food. The odour grows stronger over the time. 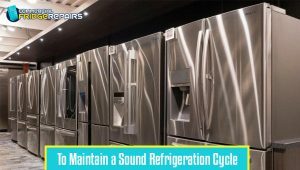 Therefore, it is the time to conduct a thorough maintenance and repairs of industrial fridges to keep your inventories safe by preventing the formation of the moulds. Temperature control is very much necessary for the industrial/commercial refrigerators. 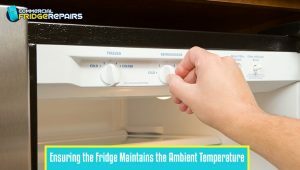 Therefore, the experts from reputed fridge repairing companies like Commercial Fridge Repairs look out for whether the thermostat of the unit is able to maintain the ambient temperature or the optimum cooling. Excessive cooling is not at all good for some of the inventories and needs to be checked. Therefore, apt maximum cooling is very necessary for commercial refrigerators. Thermostat solves the purpose and hence, a properly functional one is important. In case of the fluctuation in the temperature, the exact cause should be sorted out. Experts say that the possible reasons might be a malfunctioning evaporator fan or condenser. Taking steps accordingly is always going to ensure that the fridge is properly functioning. To ensure that the inventories (food for the eateries and chemicals for the other industries) are safe and preserved correctly, it is necessary to maintain a proper temperature in the refrigerator. To make it happen, proper maintenance and appropriate repair should be carried out by the professionals. Previous Post5 Issues Turning Your Fridge Unreasonably and Unexpectedly WARMNext PostFisher and Paykel Fridge Repair – What it Takes to be a Good Name in The Industry?